This advice is provided by Dr Duane Hamacher based on his experience. For students who wish to specialise in cultural astronomy, there are a wide variety of degree programs in Australia and around the world. There are no specific programs for the subject (YET!) but students can develop degree programs to suit their interests. Explore some of the options below. Students wishing to pursue studies in cultural astronomy are encouraged to consider flexible degree programs that will allow studies in the sciences, social sciences, and humanities. This might include dual degrees or a combination of Major/Minor in the physical sciences (such as physics, astronomy, geology, or engineering) and the humanities and/or social sciences (such as Indigenous studies, anthropology, archaeology, or the history and philosophy of science). Students may consider other programs, such as the fine and performing arts, depending on their interests. The options are truly wide open. Although this is not required (students are perfectly capable of studying a single discipline) it is important to gain training in both astronomy and the social sciences. For example, this could be fulfilled by taking a couple of elective units in astronomy as part of an anthropology or Indigenous Studies degree. Cultural and historical astronomy is founded in the social sciences but draws heavily from the physical sciences. Therefore, one should strongly consider pursuing higher degrees in the social sciences. Please consult with your advisors about potential programs. Students should be forewarned that the fields of cultural and historical astronomy are relatively tiny. Few academic jobs exist in these areas. When considering your pathway for studies, it is recommended that you include a focused stream from undergraduate to postgraduate so as to maximise your skills in a particular discipline and increase your chances of landing an academic position (if that is your goal). For example, if you choose to pursue a dual undergraduate degree (say in astrophysics and anthropology), ensure your graduate degrees (up to PhD) are also in one of those fields. Based on personal experience, those armed with an undergrad degree in one field and a postgrad degree in a significantly different field are certainly capable of landing an academic job, but it can pose a significant challenge. Many academic departments seek candidates with a solid foundation in their particular field and an odd combination of different degrees often causes problems, since you do not neatly fit into one category or another. Universities pay lip-service to interdisciplinary research, but in this regard they generally refer to researchers in one group (e.g. artists) working with researchers in another field (e.g. engineers). Researchers with a degree in both fields are generally frowned upon, as they are not considered to have a solid foundation in either discipline and are generally seen as “un-focused”. Academia frequently pigeonholes researchers into a particular discipline. 99.9% of the time, astronomy departments will not hire anthropologists, nor will anthropology departments hire astronomers. Social science and humanities departments are more likely to hire academics with science backgrounds, but it rarely goes the other way. Nothing is certain, but it is important to recognise the various issues that permeate highly interdisciplinary research of this nature. A Masters and PhD in the same or closely related social science field of your undergrad degree. For students wishing to pursue postgraduate studies in cultural astronomy, you need to find a suitable advisor and degree program that can build on your experience and education. Few academics research Indigenous Astronomy, but the academics that can advise you are usually able to co-advise from another institution, opening options. For example, Dr Duane Hamacher supervises postgraduate students at the University of New South Wales, the University of Malaya, and can supervise students at the University of Southern Queensland. USQ’s programs allow on-campus or by-distance study options, opening options for students around the world. Professor Ray Norris is also available to supervise programs at Western Sydney University. Generally, students are able to pursue studies in cultural astronomy at any university in any department, so long as they are willing to supervise and support the student’s project. Only two programs currently exist at the postgraduate level that are specifically tailored for students studying cultural astronomy. People around the world have carved out pathways to pursue their interests in cultural and historical astronomy. Below are four profiles of academics who have each taken a unique pathway. The first is a woman who earned her undergrad an postgrad degrees in both art and science. The second is a man who completed his undergrad and postgrad degrees in ancient history, but also earned a separate undergrad degree in astrophysics. The third is a woman who earned all of her degrees in astrophysics. The last is a man who earned his undergrad and postgrad degrees in astrophysics, but his PhD in Indigenous studies. Each person carved out a unique pathway using a different combination of qualifications and developing their own expertise. Annette Lee is an Ojibwe/D(L)akota woman, astrophysicist, and artist. She is an Assistant Professor of astronomy and physics and Planetarium Director at Saint Cloud State University in Minnesota, USA. She has over 28 years of experience in education as a teacher, university instructor, teacher educator, program administrator, professional visual artist, and researcher. Annette took a dual stream of studies in STEM and fine art. She earned a BS in applied mathematics at UC Berkeley, a Bachelor Fine Arts in painting at the University of Illinois, an MFA in painting at Yale, and an MA in astrophysics at Washington University in St Louis. Annette draws from her experience in art, science, and her First Nations heritage to study cultural astronomy, Direct the Native Skywatchers research and programming initiative, and work as an Indigenous STEM consultant for Fond du Lac Tribal & Community College. 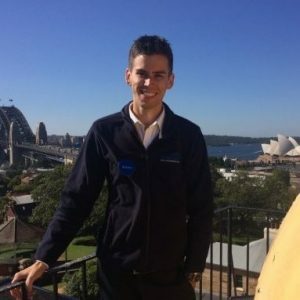 Brenan Dew is pursuing a PhD in Egyptology at Macquarie University in Sydney, with a focus on ancient Egyptian astronomy. 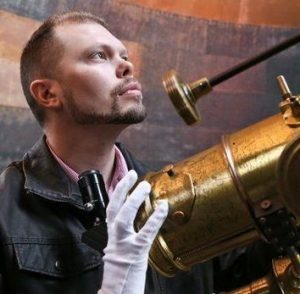 Brenan decided to pursue an academic pathway that combined his passion for astronomy and ancient history that lead to a unique academic pathway. He earned a Bachelor of Ancient History with 1st Class Honours (thesis: “H20’clock: A re-examination of ancient Egyptian water clocks“), then completed a Bachelor of Science in Astrophysics. He then earned a Masters degree in Egyptology (thesis: “His Kingship is Eternal, a study of Rhetorical Stelae in the Ramesside Period“) and is pursuing his PhD in Egyptology (thesis: “The Cosmography of New Kingdom Egypt“). Brenan’s studies enable him to pursue his interests in astronomy and ancient history interests, but maintain a solid stream in the discipline of archaeology and Egyptology. 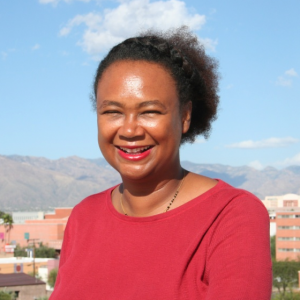 Jarita C. Holbrook is an African American astrophysicist, filmmaker, and academic. She is an Associate Professor of physics at the University of Western Cape in South Africa and earned her physics and astronomy degrees at Caltech (BS), San Diego State University (MS), and UC Santa-Cruz (PhD). 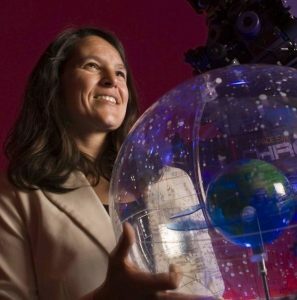 Her work focuses on Indigenous Knowledge and environmental adaptation (especially related to the sky) as well as studies of minority and women astronomers in the USA and South Africa. Although her degrees are in astrophysics, she gained her training in the social sciences during her postdoctoral career at the UCLA’s Center for the Cultural Studies of Science & Technology Studies and the Max Planck Institute for the History of Science in Berlin. Her first professorship was in the Bureau of Applied Research in Anthropology at the University of Arizona. Duane W. Hamacher is an astronomer and Senior Research Fellow at Monash University in Melbourne, focusing on Indigenous astronomical knowledge, intangible astronomical heritage, and cultural competence. Born and raised in the US, he earned a BS in physics from the University of Missouri, where he also took several undergrad and graduate level courses in anthropology and archaeology. He moved to Australia and completed a Masters degree in astrophysics from UNSW searching for exoplanets. He built on his anthropology and archaeology experience to earn a PhD in Indigenous Studies at Macquarie University with a thesis on Aboriginal Australian astronomy. His postdoctoral positions have been in Indigenous Studies departments and he conducts ethnographic fieldwork with Torres Strait Islander communities in northeastern Australia.